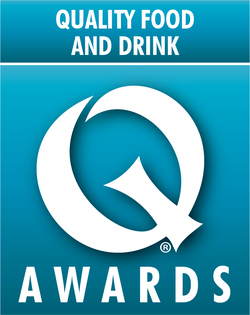 Don’t miss out on our Quality Food Awards newsletter! The Quality Food Awards newsletter will keep you up to date with the latest news, trends and product developments in the UK and Irish food and drink sectors so sign up today! Talking Retail Newsletter The latest news, analysis and reports on market trends in the grocery retail sector. Industry Updates from Selected Partners The latest product announcements from selected companies. Independent Retail News Digital Edition Independent Retail News print magazine in digital form, emailed to you on a monthly basis. Select a ‘Retailers’ or ‘Suppliers’ option when signing up depending on who you are. Metropolis International Group Ltd may from time to time send updates about this product and other relevant Metropolis products and services. Your email address and telephone number will not be given to 3rd parties unless you give us your explicit consent to do so. By providing your email address you consent to being contacted by email for direct marketing purposes by Metropolis International Group Ltd and its associated products. If you do no longer wish to receive information from us please write to the Quality Food Awards Data Manager at 6th Floor, Davis House, Robert Street, Croydon, CR0 1QQ, United Kingdom or email datamanager.qfa@metropolis.co.uk.